:: Northern Lights Bucket Trip - Preparation Part Two :: - Dreams are what you wake up from. With one of the longest day-drive distances, we will head towards the other worldly Lake Mývatn. This is a shallow eutrophic lake sited in an area of active volcanism in the north of Iceland, close to Krafla volcano. The lake and the surrounding wetlands have an exceptionally rich diversity of waterbirds, especially ducks. One interesting fact about Lake Mývatn is that it is one of the few places in the world that grows Marimo, a lake ball or moss ball. The last time I saw a marimo was in Hokkaido, Japan. It would be awesome to be able to see this again. On the way you will visit Dettifoss waterfall – the most powerful of all waterfalls in Europe. Drive to the beautiful village of Húsavík where you will enjoy a three hour long whale watching tour at 13:30 pm, before driving to Lake Mývatn are where you will spend the next two nights. In the evening, we recommend that you visit the Nature Baths of Mývatn and relax after a full day of sightseeing and adventures. Overnight in Hotel Reykjahlíð in Mývatn. Lake Mývatn seems to be an important part of the Iceland driving circuit. Hence, on the following day, we will allocate a full day to explore this lake and its surrounding areas. We will start by visiting the Lofthellir lava cave. Lofthellir cave boasts the greatest natural ice sculptures currently known in any Icelandic lava cave. This 5-hour tour should be pretty interesting, and hopefully, not too strenuous! In the afternoon, we will then leave the cave and then drive towards Namaskaro pass to visit the Hverarond geothermal area. Here, we will see the boiling mud pools and the steaming lava vents. While the Krafla volcano is situated nearby, we will see if we have any more energy left to do another hike. Otherwise, the day should end at Myvatn Nature Baths again for a good warm soak. The self-drive tour continues! We will make our way to Akureyri – the “Capital of the North”. Along the way, we should pass by the Godafoss Waterfall – or the “Waterfall of the Gods”. Interestingly, if you have played the game Elder Scrolls – you will realize that many of Elder Scroll’s regions seem to be named after similar regions in Iceland! Included as part of the tour package would be the Icelandic horse riding tour at 2pm. While horse riding is not something that I insist on doing as part of my Icelandic experience, it could certainly be a good respite from my seven over years of car-driving. In any case, an Icelandic horse is a breed of horse developed in Iceland – while small in size, they are long-lived and hardy. They are “five-gaited”, known for the horse’s sure-footedness and its ability to cross rough terrain. IN the evening there is a Akureyri Thermal Pool as an optional stop, before we check-in a Kea Hotel. Leaving Akereyri behind, we will make our way to the Snæfellsnes Peninsula. I certainly do not know how to pronounce this! Snæfellsnes is a peninsula situated to the west, or in Western Iceland. 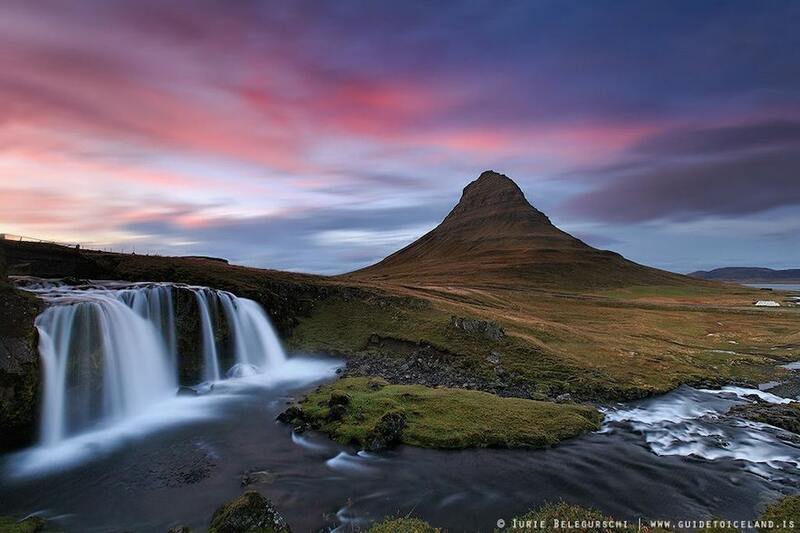 It has been named Iceland in Miniature, because many national sights can be found in the area, including the Snæfellsnes Volcano, regarded as one of the symbols of Iceland. At this location, it is a free and easy option, with a variety of activities such as horseback riding (again? ), hiking, bird watching, or whale watching. Maybe I would have been a little tired and might just get warm and cosy in a nice little glassy café, if there is one in the city or village. The Snæfellsnes Glacier was the setting for Jules Venue’s Journey to the Center of the Earth. We will then spend one night at Hotel Langaholt. At the tail end of the ring road, we will head west to see the volcanic crater of Grabrok, as well as the Hraunfossar waterfalls. This is a series of waterfalls formed by the rivulets streaming over a distance of about 900 metres out of the Hallmundarhraun, a lava field which flowed from an eruption of one of the volcanoes lying under the glacier Langjokull. There is also the Deildartunguhver, the largest hot spring in Europe, and the settlement centre in Borgarnes. This unpronounceable hot spring is characterized by a very high flow rate for a hot spring, at 180 liters per second! Water emerges at 97 degrees Celsius! We then return back to Reykjavik and will spend the remaining nights in Hotel Fron. I have not planned anything for this yet – but guess I should start doing some reading…..
29 Oct – Blue Lagoon and Departure from Iceland. We have been recommended to do the optional Blue Lagoon on the way to the airport. Again, I will have to do some checks on this. The Blue Lagoon geothermal spa is one of the most visited attractions in Iceland, yet it is actually a man-made lagoon fed by the water output of the nearby geothermal power plant Svartsengi. And then, we should be off to the airport, and “bye bye Iceland!” I certainly hope I would have captured enough shots of the Northern Lights!